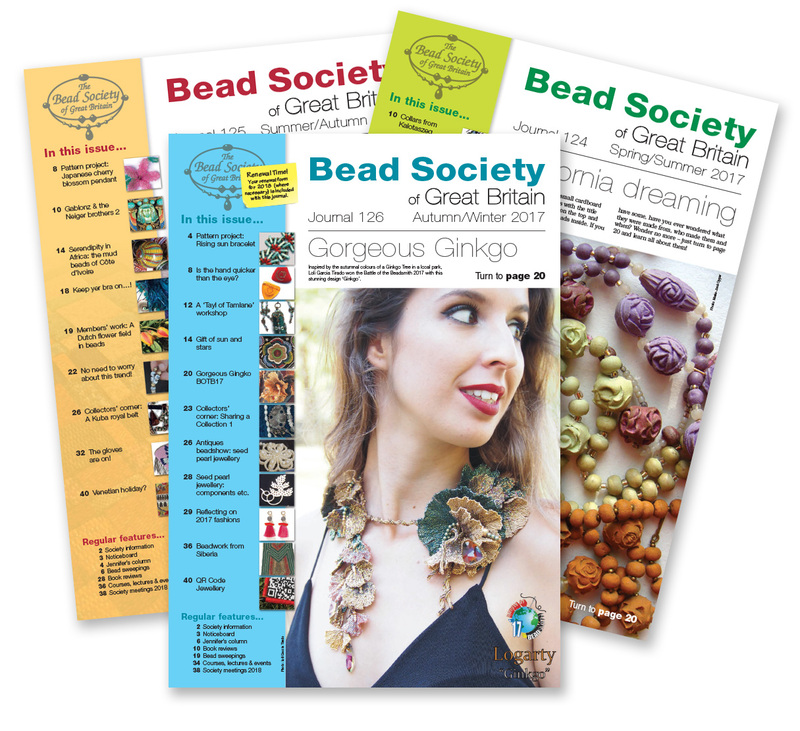 The Bead Society of Great Britain's Jourrnal is published 3 times a year. 40 pages in full colour of all things bead related. The history of beads, how they are made, how they are used from across the world. The articles are written by experts in the beading community. Colour and black and white photographs illustrate the articles. Pieces written by members about beads, exhibitions or anything bead related are very welcome.